With the rapid adoption of Voice over IP (VoIP), many telephony and data network technicians, engineers, and designers are now working to become proficient in VoIP. Professional certifications, such as the Cisco Certified Voice Professional (CCVP) certification, offer validation of an employee’s or a consultant’s competency in specific technical areas. 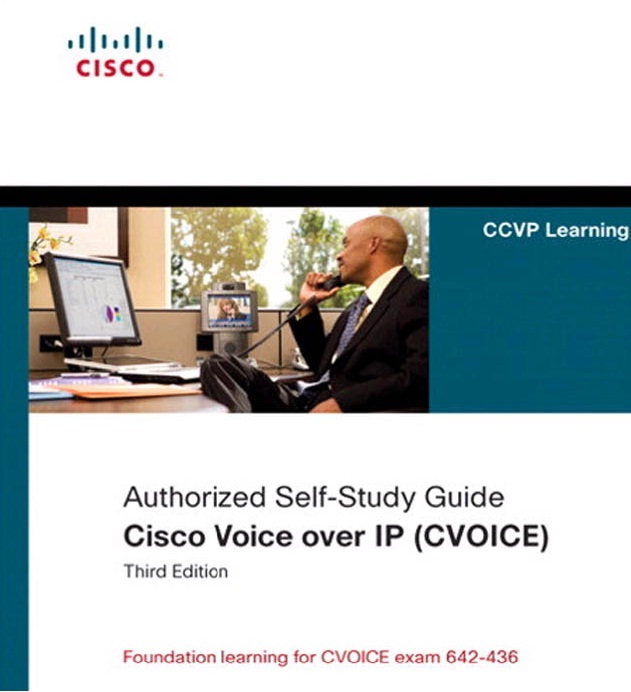 This book mirrors the level of detail found in the Cisco CVOICE Version 6.0 course, which many CCVP candidates select as their first course in the CCVP track. Version 6.0 represents a significant update over Version 5.0 of the CVOICE course, because Version 6.0 integrates much of the content previously found in the more advanced Implementing Cisco Voice Gateways and Gatekeepers (GWGK) course. A fundamental understanding of traditional telephony, however, would certainly benefit a CVOICE student or a reader of this book. If you think you lack a fundamental understanding of traditional telephony, a recommended companion for this book is the Cisco Press Voice over IP First-Step book (ISBN: 978-1-58720-156-1), which is also written by this book’s author. Voice over IP First-Step is written in a conversational tone and teaches concepts surrounding traditional telephony and how those concepts translate into a VoIP environment.